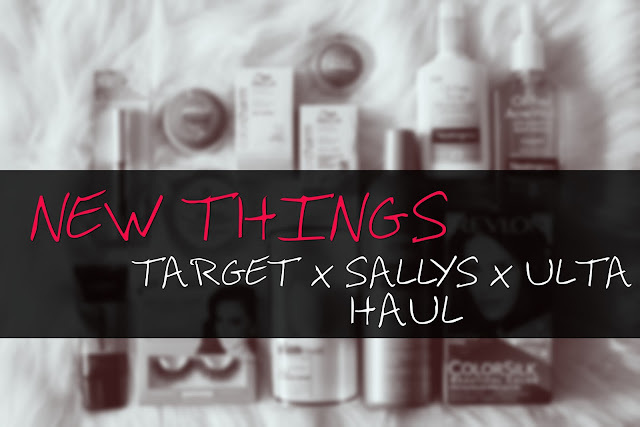 Today I did an unplanned beauty haul from a few of my favorite locations to shop at. Picked up a bunch of things that (in my mind) I needed, whether I've tried it before or not. 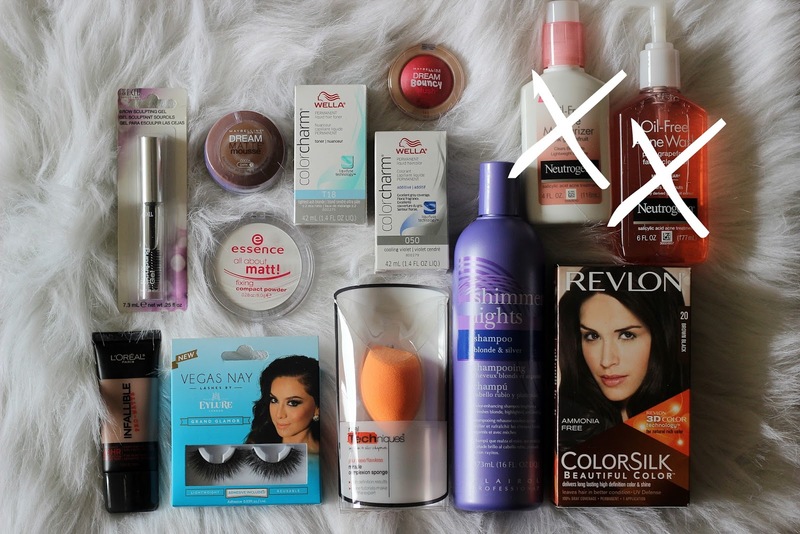 This haul actually has a bunch of new items that I want to test out. I've noticed that over the last few years, my skin is becoming increasingly oily, which is becoming a nightmare in warmer weather and in general. Take a look inside to see what I added to the beauty bag! From Target, I picked up a few skin care items (that are new to my regimen) and some hair color to finish up a wig that you will be seeing soon! 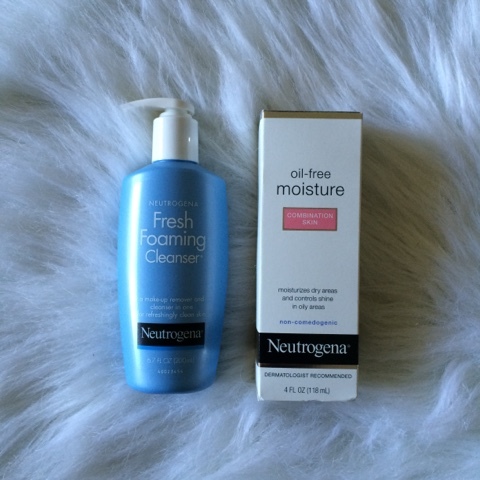 After reading the reviews on the Neutrogena Oil Free Acne Wash/Moisturizer, I decided to take it back this morning. The reviews on the Oil-Free Acne wash/moisturizer said that it left the skin extremely dry, caused an even worse breakout and some even stated that it burned the skin. I can only imagine that either a toner/moisturizer wasn't used afterwards, their skin was sensitive to be burned by the salicylic acid contained in it OR it was a strong amount (which it states that it has "maximum strength salicylic acid acne medicine"). Either way, I don't want to take that chance. I have breakouts occasionally but not that bad, so I'll give these a try! I decided to replace it with the Fresh Face Foaming Cleanser and Oil-Free Moisturizer. I'm still a fan! From Sally's, I picked up some more hair care items and brow gel (all new items except the shampoo). So can I start off by saying out of all the years I've been shopping at Ulta, I never knew they sold drugstore items, NEVER! Call me crazy, but I never go on that side of the store! #crazychanda. Everything I got from Ulta are new to me except for the Dream Matte Mousse. • Maybelline Dream Matte Mousse in Dark (Cocoa) FINALLY FOUND • Maybelline Dream Bouncy Blush in Hot Tamale • L'Oreal Infallible Pro-Matte Foundation in Cocoa • Essence All About Matt! Fixing Powder (translucent) • Vegas Nay Lashes in Grand Glamour (SOOO excited about these) • Real Techniques Miracle Complexion Sponge (didn't know the Pixiwoos created this, I've watched them for years). That's my beauty haul from Target, Sally's + Ulta! Have you guys tried these items or would you have anything in mind for oily skin? I really need all of the help I can get and I will still be doing research until I find the perfect products! Are you social like me? Give me a follow on your favorite social media outlet! All of my links are below!